I like art for home staging to be unique but not so novel that it takes over a room. I like it to be big, and I like it to have a unobtrusive color scheme. And it helps if the art adds a touch of whimsy to the space. 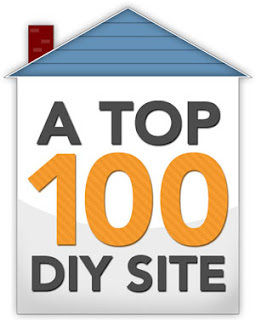 This DIY project fills the bill. 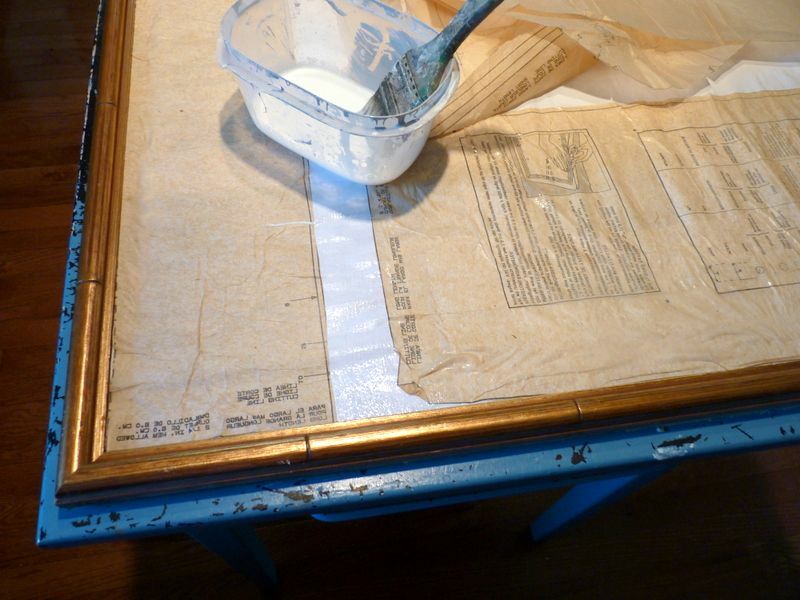 It’s fun to do and you’ll be able to upcycle a less than desirable but large, glass-framed picture. Big art can cost big money. But not this time. Here’s a way to take a large piece of art from the “Salvation Army Art Gallery” and convert it into something that I think is dynamite. 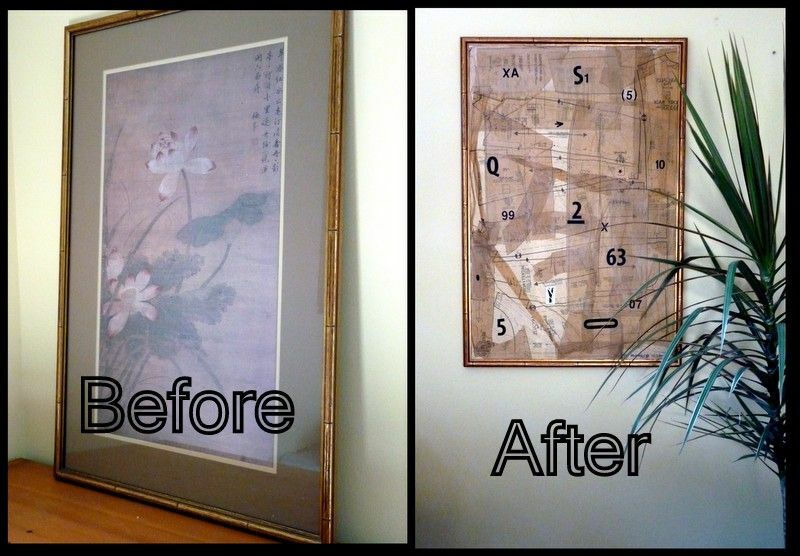 In my example, I used a 38” x 26” print of a Chinese painting. The gilt, bamboo-style frame was pretty, but the print was old. What happens to even good quality prints is that they fade in time. What’s worse is that different color inks fade at different rates. Have you ever noticed old prints where the originally true reds turn maroon and the blues turn a tawny brown? Yeah, that’s aging. So, even though this print had some redeeming qualities, the colors were off. 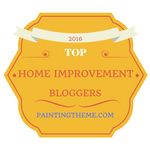 It was time for a facelift in the interest of a more contemporary art piece for home staging. The skills needed for this project are the ability to use glue. You in? glued down as art, a man might assume they are part of a mechanic's manual. 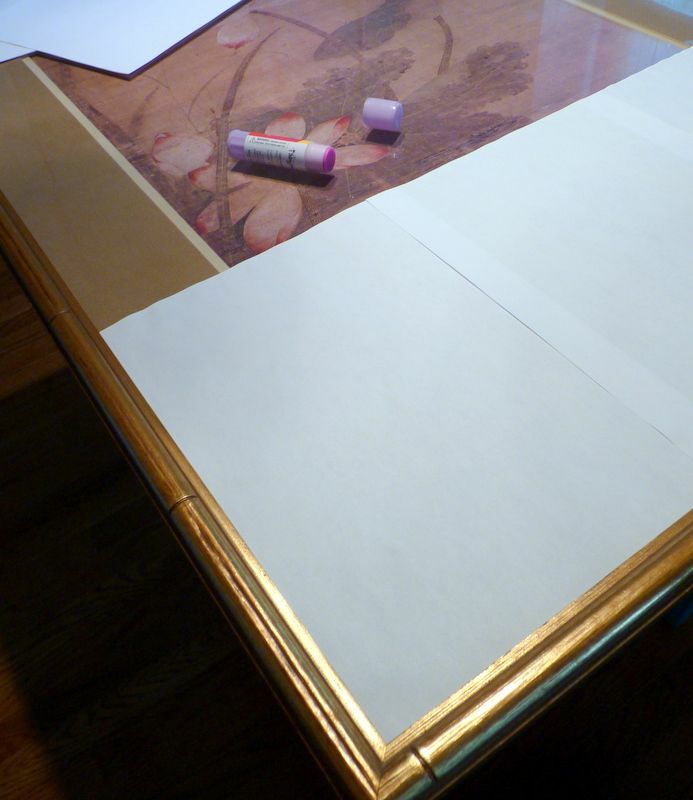 Use the glue stick to paste down sheets of copy paper to cover the glass. Begin at the corners and the edges. It doesn’t matter if the sheets of paper overlap, but they should lie down fairly flat. I put glue all around the edge of the sheet and make a big X in the middle of it before sticking it down. The faded print or controversial photo gets a clever cover-up that could be temporary. Once the entire glass is covered with white paper, mix the school glue with an equal amount of water in a wide mouth container. You’re going to cover the entire surface (now white) with tissue paper pattern pieces just like we did when we made a collage. Start at the outside edges and corners and use the straight edged pattern pieces there. You can wrinkle the paper to make it fit inside the frame. 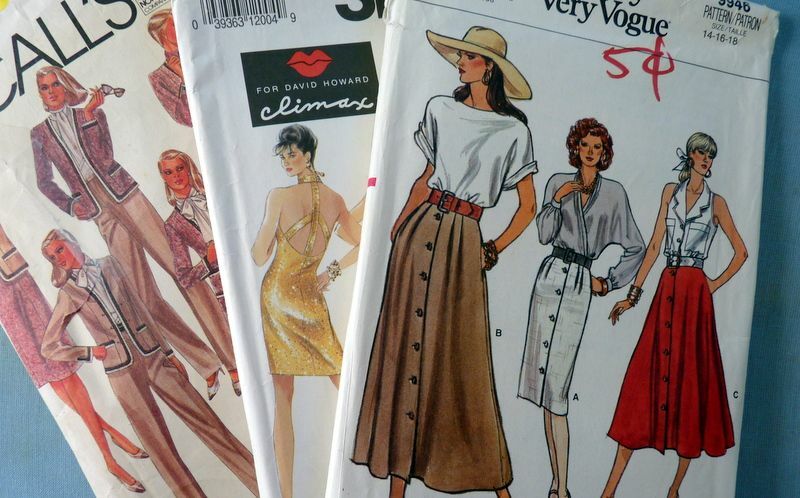 You want to hide the bright white paper with the vintage tissue paper. Use the brush (I use a 2-inch bristle brush) to apply glue to the white paper surface. Then lay the pattern pieces down, one at a time, and brush the surface of each pattern piece with more glue solution as you go. 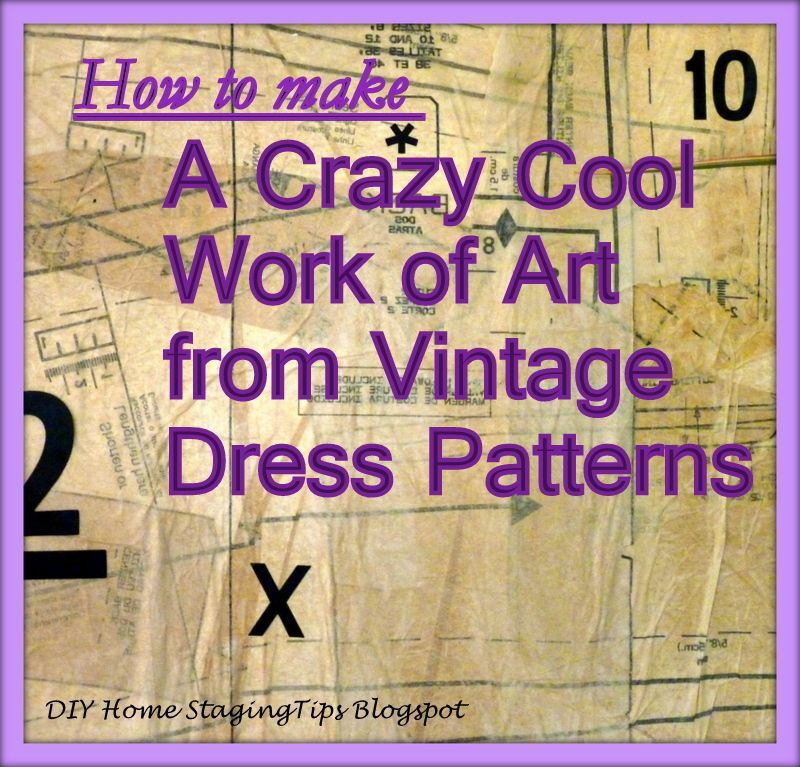 You don’t have to cut apart large sheets of patterns. Your pieces can be large or small, partial or whole. Once you have an interesting layering of pattern pieces, and the entire entire surface is covered with at least one layer of tissue, brush the surface with the glue solution. It doesn’t have to be perfectly smooth. Some bumps and ridges are okay. 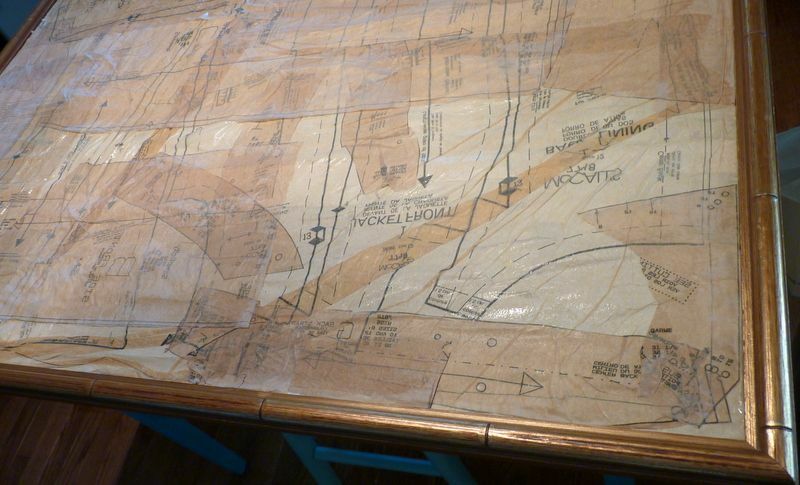 The finished collage has all the appeal of an old map, but without the specifics. For some additional black accents, press on a few assorted vinyl letters, numbers or symbols. It should look like some kind of set of instructions gone bananas. Letters and numbers add impact and interest. Use as many as you like, or none at all. What was a dated, faded Asian image has become a snazzy piece of modern art. Don’t worry about the paper wrinkling or tearing. As long as your outside edges are straight, it will look good. I like the paper to be glued down wrong side up so the directions are backwards and not really legible. It’s part of the silliness of the composition. What I really like about this technique is that you can return the art to its original style after your home is sold, if you loved what was originally under the glass. 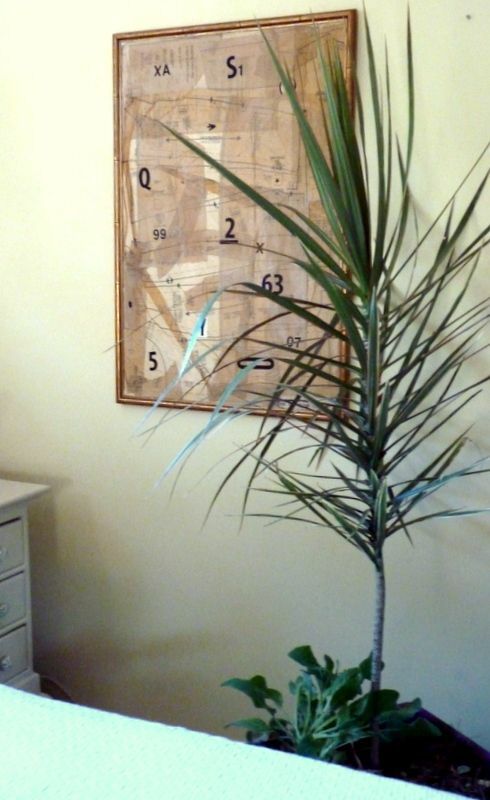 Maybe you didn't want to decorate with your big photo of Miley Cyrus or that poster for The San Francisco Giants. 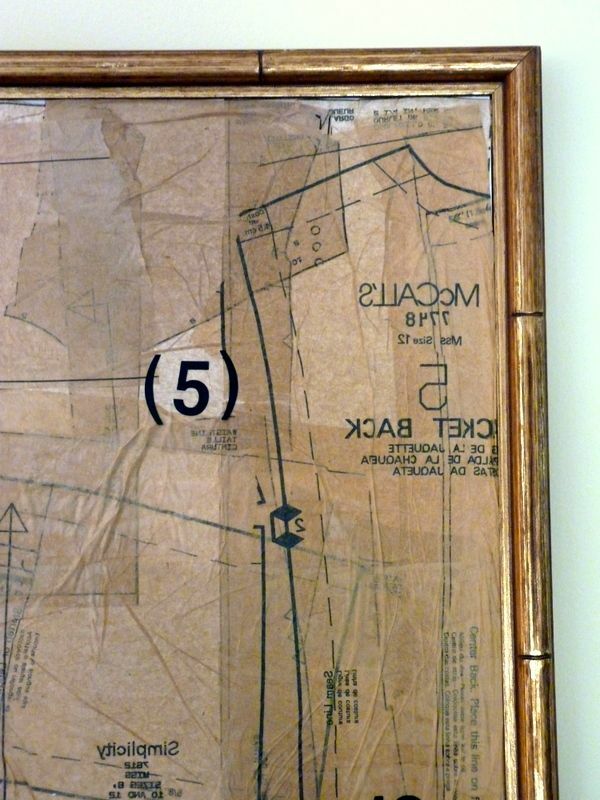 Just use damp cloths to loosen the glue and remove the layers of paper, being careful not to let water seep around the edge of the glass to the original print underneath.